I got this vintage Piggly Wiggly sewing kit in one of those Ziploc grab bags that tend to cover the bathroom counters at your more sanitary, more organized estate sales (at the other kind of estate sale—one of which I plan to hit up today—you definitely want to avoid the bathroom). I love the idea of marketing your brand via tiny sewing kits; I don't think that's a strategy many businesses employ these days. 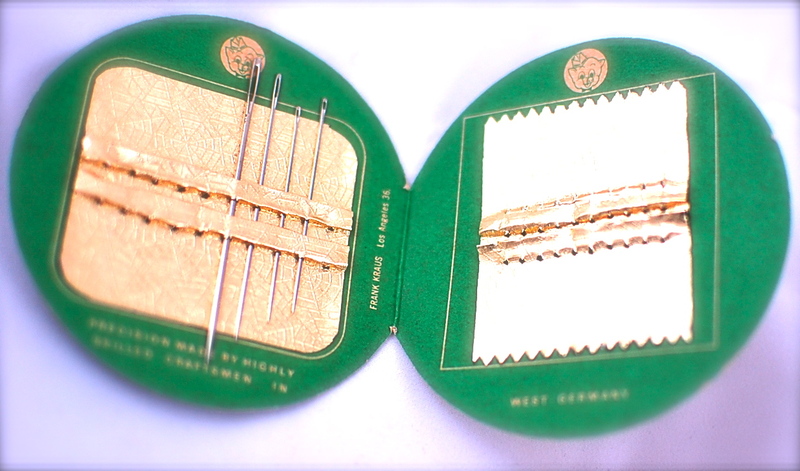 I'm afraid advertising sewing kits qualify as yet another type of ephemera that's disappearing from our digitized lives. Sniff. I didn't think the Piggly Wiggly supermarket chain actually still existed, but turns out it does. Piggly Wiggly, which opened in Memphis in 1916, claims to be the first ever self-service grocery store. I don't really get why that's so great—I would love to just hand my shopping list over to a clerk and let him collect everything and pack it up for me while I thumb through Instagram and Facebook and whatever e-book I'm reading on my iPhone. Am I crazy? Better still, I wish I could order my groceries online and have them delivered to my house like I did in NYC (ah, FreshDirect, how I miss you!). I don't know if this makes me a typical hausfrau or not, but I don't like going to the supermarket. It is the biggest bore. I don't linger, I don't sample, I don't chitchat—I fly through the aisles, sticking to my list like glue, ignoring all specials and coupon offers designed to make me buy crap I never needed in the first place. 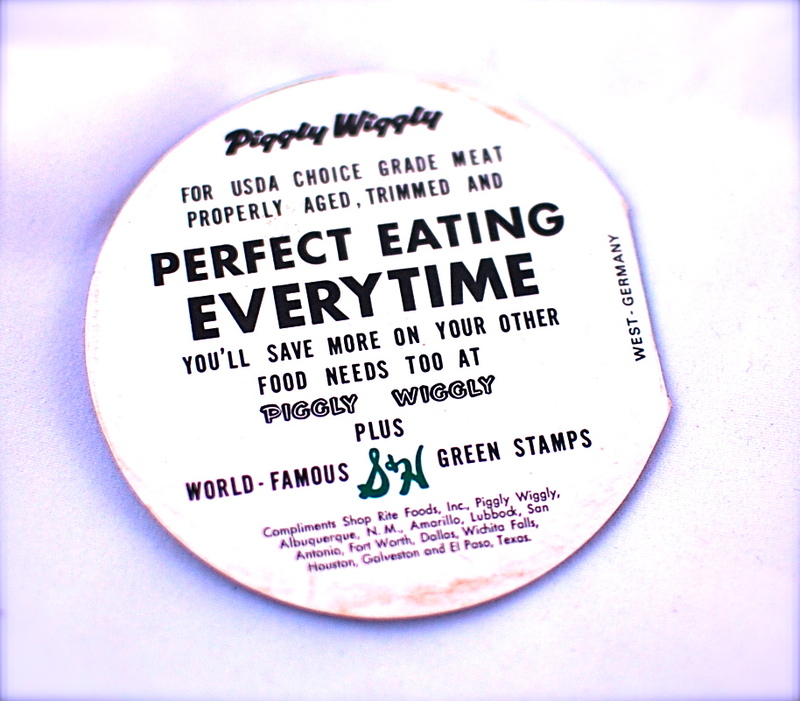 In the old-style grocery store, I wouldn't have to deal with any of that aggravation—so thanks a lot, Piggly Wiggly! But the one thing I will say in Piggly-Wiggly's favor—apart from the fact that the logo is undeniably cute—is that it would be fun to say "I'm going to the Piggly-Wiggly" instead of just "I'm going to the store," or as we say here in San Antonio, "I'm going to HEB" because basically all the other supermarket chains were run out of town. On that note, I'm off to the store for the Friday provisions—steak, ice cream, frozen pizza and a six-pack of wine. Happy weekend!